PowerPoint presentations are a quick and easy way to organize your ideas, present visual aids, and share your message. But more often than not, no one is listening. Although PowerPoint might be a useful presentation prop, if you don’t use interactive learning techniques to create excitement and enhance learning, your message won’t make an impact. Active learning occurs when students are engaged—they’re actually doing things, and they’re thinking about the things that they’re doing.Although a lecture presentation is a time-effective way to cover course content, it’s not an effective way to promote deep and lasting learning. On the other hand, when you employ interactive learning techniques, such as asking students to illustrate an abstract concept or share and compare possible answers to a question with a partner, you’re helping students develop their understanding. You’re providing an opportunity for them to apply and demonstrate what they’re learning and to receive immediate feedback. 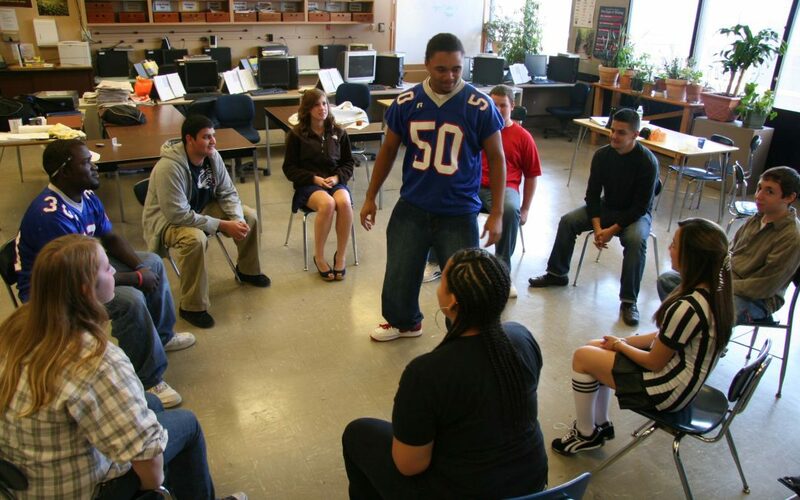 Have students stand up and form a circle, facing one another. Toss a ball to one student, and ask them to answer you as they catch it. Then ask them to toss the ball to another student. Continue the ball toss exercise until everyone has caught the ball and discussed an important concept from the material just covered. Students often don’t actually learn material until they’re asked to make use of it. This interactive technique asks students to become attentive and engaged as they perform a task they learned during the session. Before your presentation, create a short hypothetical scenario that resembles a situation the participants might experience after the session. Add realistic details and some drama, but keep the case study brief (less than half a page). Ask the students to read the story and answer a few questions, encouraging them to apply the theory they have just learned to a real-world situation. An effective way to create excitement is to have students participate in role-playing exercises in class. During the fishbowl exercise, a group of participants performs a learned task or unpacks their ideas and thoughts on a topic in front of others. During the performance, the rest of the class takes notes and writes a response that covers the key learning points. This allows students to engage with the material, connecting course content to their personal and professional lives while also creating opportunities for students to share their knowledge with others. 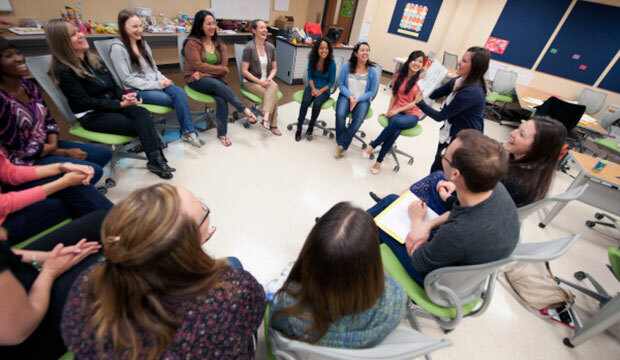 The think-pair-share exercise is one of the most widely used ways to promote group interaction during a traditional lecture. Once you’ve presented information, whether through a reading assignment, a short lecture, or a videotape, ask a questionabout the material. Instruct students to think about the question and jot down their answer, as well as any additional thoughts they may have. Then have students turn to a partner and share their responses. If you have enough time, students can share again in another pair or in a group of four. Finally, invite some pairs to share their responses with the whole class. A well-designed and carefully constructed quiz to measure student learning can help students engage with classroom material, especially when accompanied by supportive instructional activities. Create a quiz with key questions related to content from your presentation. Divide participants into teams of four, and distribute enough resource materials to each team so that they can answer the questions. Give everyone time to fill out the form, and then discuss the answers. This technique allows you to quickly and easily assess if the students have really mastered the material. These collaborative learning strategies guide students through the learning process, helping them focus on the crucial parts of the material and providing opportunities for practice and application. Instead of a PowerPoint, use one or more of these interactive learning tasks to encourage students to be reflective about the course content and develop their understanding and skills.